A discussion panel on 2017 trends, the emergence of new sectors, role of market buyers in CEE and more. Valeri is Partner with Axxess Capital, a leading private equity firm in South Eastern Europe with invested equity in excess of EUR 250M. Prior to that he was Partner with Bancroft Private Equity in Vienna and Investment Director with the Athens based private equity firm Global Finance. Valeri led and co-led many transactions in various countries and industries across South-Eastern Europe and Turkey. Prior to moving to the Private Equity industry Valeri was running the largest paints& coatings company in Bulgaria (backed by private equity funds) as CEO where he completed a successful turnaround, increasing its market capitalization almost ten times. Valeri also worked for Royal Dutch/Shell, and held various positions within the organisation. Valeri holds an MSc in Engineering from the Technical University of Sofia. He also attended Management Academy in London and ETP on Management in Delaware University. 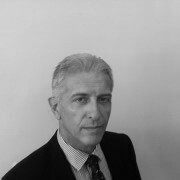 Richard is currently head of Group M&A at Constantia Flexibles. He joined Constantia in 2010 and has worked on numerous M&A transactions with Constantia since then. The latest acquisition by Constantia Flexibles was Alucap in Italy. Prior to that he worked with KHD, a cement plant equipment supplier, and Raiffeisen Investment, as part of their CEE M&A advisory group, in Vienna. 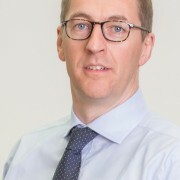 Richard started his career at Coopers & Lybrand (now PwC) in London in 1997 and also worked at Cazenove (now JP Morgan) in equity research before moving to Vienna in 2005. He is a qualified chartered accountant and is a CFA charterholder. Alessandro Pasquale started his career in the Swiss confectionary Vialetto, owned by his family, where he made his first experiences holding responsibility in several different positions in the production department. In 2003 he moved in Czech Republic where he joined his father in running the family business of Karlovarské minrální vody (KMV), leading producer of mineral water in central Europe. Was appointed CEO of Dobra Voda, one Czech subsidiary, in 2005 and CEO of KMV in 2007. He actively drove the internationalization of the group acquiring in 2007 a small mineral water company in Austria that is now, after some year of strong development, challenging the market leader, and he opened several important export markets with Slovakia, Germany and Polland leading the group. 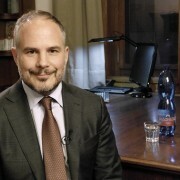 Under his leadership, in 2015 the group expanded in Hungary acquiring the interests in Kékkúti Ásványvíz Zrt. and Szentkirályi Ásványvíz Kft., leading hungarian bottled water producers. Igor is a Partner at TPA. He is primarily involved in merger and acquisition advisory and valuations and works for clients from various sectors. 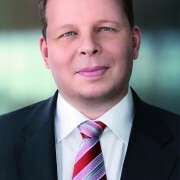 Prior to joining TPA Igor worked wih Ernst & Young (1999- 2010), Komercni Banka and for Creditanstalt Investment Bank. He has been involved in many cross-border acquisitions and also acted as an privatisation advisor across CEE. Igor executed 100+ transactions, mostly cross-border.